Phoenix, Arizona is home to many residential and commercial pool owners. Due to the hot weather and dry climate, the summers are often unbearable without a nice in ground pool to cool you off. 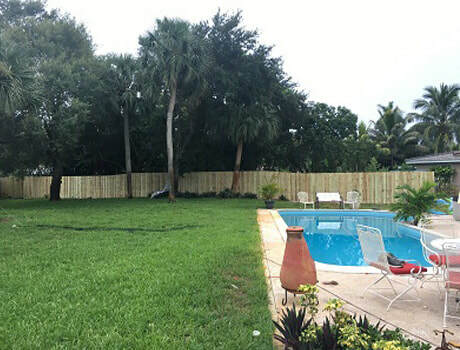 Fence Builders strives to provide all of its customers with pool fence installation and repair options at an impeccable 5-star quality. Our team of contractors is experienced in a wide variety of pool fencing types and respective procedures, ensuring that our customers receive our signature, handcrafted quality every time they pick up the phone. We specialize in both aluminum collapsible framing as well as glass fences that add quality and luxury to your property. For those looking to invest in pool fencing for an indoor or outdoor waterfall, we also provide business-level engagement plans. These plans not only match the installation to your property but also work with your budget and scheduling to make sure that you have the best fence building experience as possible. Let our collapsible pool fences save you time and money – the beauty of our collapsible designs allows portability alongside an affordable cost. Our residential consumers love our aluminum pool fences because they are easily adjusted and maintained. During colder seasons, breaking down your Fence Builders collapsible pool fence is as easy as one, two, three! We provide only the highest level of construction quality to protect your loved ones from harm all year round. After your purchase and installation, all of our options include post-engagement repair and maintenance packages to help keep your pool fence working, as it should. We also provide tips and instructions on how to efficiently and safely expand and break down your investment. This added level of customer service continues the 5-star quality that Fence builders Phoenix is known for. Simply put, we are the best pool fence providers in the business today! For something a little more luxurious, our team of specialists suggests adding a glass pool fence to your property. Our glass-fencing catalogue includes many different types of glass, including plexi and fused quartz. We make sure to utilize the glass and framing style that is best suited for each location and desired function. The great thing about Fence Builder glass pool fencing is that it adds an unparalleled level of elegance and visibility without sacrificing safety and security. In the event that your glass fence fails to perform as intended, we offer lifetime warranties on all of our glass installations. We match each engagement with an experienced contractor that is ready to provide repair and inspection services at a moment’s notice. When business begins to boom during the summer seasons, it is important that we stay at the top of our game – this means providing all of our commercial customers with consistency respective of their glass pool fencing purchases. When you are ready to invest in a glass or collapsible pool fence, don’t hesitate to call our amazing company today. We will make it our duty to fit your in ground or water park with the best pool fencing that money can buy in Arizona!